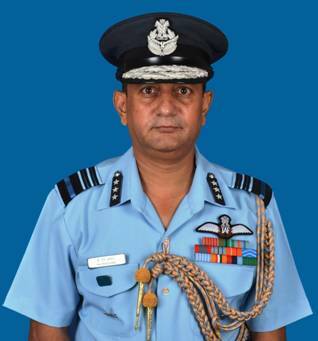 Air Marshal PN Pradhan AVSM took over as Deputy Chief of Integrated Defence Staff (Operations), HQ IDS. He was commissioned as a pilot in the Transport stream of the Indian Air Force in 1981. Whilst posted at transport squadrons, he qualified on all operational roles, especially in forward areas and ALGs in the North-East and J&K. He is a Qualified Flying Instructor and has been a pilot examiner on the Boeing and AN-32 aircraft. He was closely associated with the induction and operationalisation of Embraer-135, BBJ and C-130 fleets in the IAF. He has had four command tenures including command of two operational bases & an Air Force Selection Board. 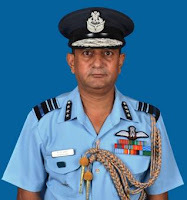 He has held several important appointments at Command and Air Headquarters which include Assistant Chief of Air Staff (Transport and Helicopters) and Assistant Chief of Air Staff (Personal Airmen & Civilians) at Air Headquarters and served as the Senior Air Staff Officer of Southern Air Command. For his distinguished service of an exceptionally high order he was awarded Ati Vishisht Seva Medal on 26 Jan 2014.